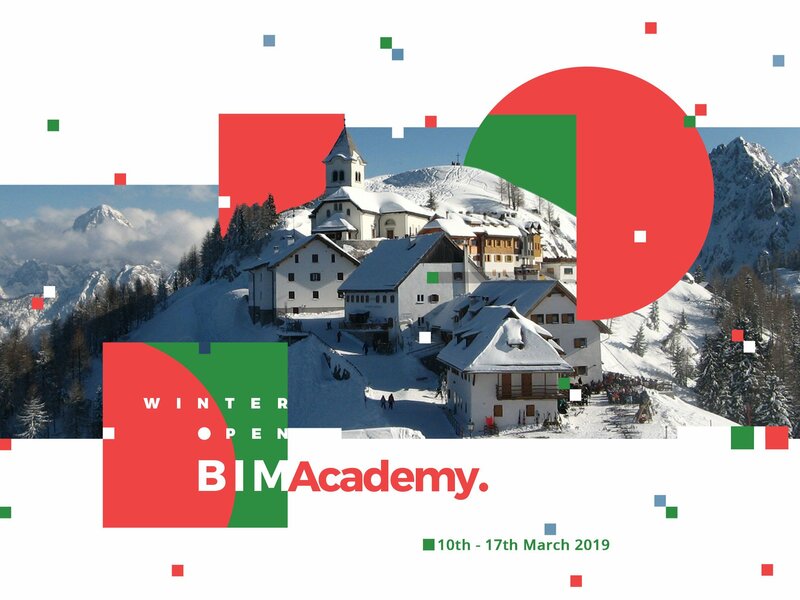 Winter OPEN BIM Academy 2019 is on its way! Meet design leaders of the digital transformation and get inspired by Open BIM lectures, workshops and discussions! The everyday mix of knowledge, networking and winter leisure activities in the heart of Julian Alps will keep you off your daily routine. It goes without saying that friendly atmosphere, picturesque setting, mountain air and lovely home-made local cuisine are guaranteed! The event will take place from 10 to 17 of March 2019 at “Locanda al Convento”, a cosy guesthouse situated on the top of Monte Santo di Lussari (1 790 m a.s.l.). Click on this link (http://www.rifugioalconvento.it/) to find out more about our stay. Please note that the price doesn’t cover transport and ski pass. *All the above prices are early bird rates valid until 31 December 2018. Past this date, prices will increase by 100 €.